Among modern Catholic theologians, there’s no one I like better than Edward Schillebeeckx. I pay visits to Rahner and Balthasar and Ratzinger, but I come home to Schillebeeckx. Why do I love Schillebeeckx? There are many reasons. His whole theology is worked out amidst a momentous wrestling with the biblical texts. He has an extraordinary way of perceiving exactly what Christian faith and practice really mean, what they really demand. In contrast both to unthinking conservatisms and sentimental progressivisms, he forged a profound and unflinching christological revision, issuing in a rigorous and tough-minded theology of liberation. Besides that, he also has the most delightfully cumbersome name in the whole history of theology – his full name is Edward Cornelis Florentius Alfonsus Schillebeeckx (and, as a novice of the Dominican Order, he added Henricus as an additional name). No one with fewer names could have written so many – or such gigantic – books. —Edward Schillebeeckx, The Church with a Human Face: A New and Expanded Theology of Ministry, trans. 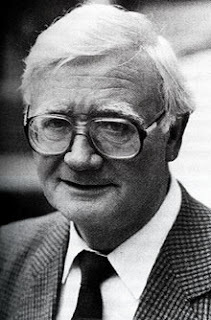 John Bowden (London: SCM, 1985), p. 34.